What makes AWS log monitoring challenging? While AWS offers tools like CloudWatch and CloudTrail, they are difficult to configure and implement, especially if your application is hosted in a distributed environment across multiple AWS regions. Most logging tools require a complex configuration for AWS monitoring and don’t include easy-to-use, out-of-the-box monitoring templates for AWS. It is not easy to analyze log data coming from different sources. There is no centralized view, reporting, or monitoring metrics, which can make spotting issues and troubleshooting quite challenging. If you have your business spread across multiple geographies and have set up region-specific configurations in CloudWatch, you know it is not easy to combine metrics from different regions within an AWS monitoring tool. SolarWinds® Loggly® can help you solve this complexity. You can send logs and metrics from CloudWatch and CloudTrail to Loggly and unify these logs with other data for a better understanding of your infrastructure and applications. Sending CloudWatch logs and metrics to Loggly is easy; there is nothing to install. Loggly is extremely flexible and supports downloading any object you create in Amazon S3, as well as uncompressed line-separated text files from AWS, including the logs from ALB, ELB, and CloudFront. Loggly integrates with Amazon CloudWatch to help you harness the true value of your log data and help ensure comprehensive AWS network monitoring. It provides interactive features that improve your log monitoring experience. You can use the powerful search to sift through large volumes of logs, quickly. 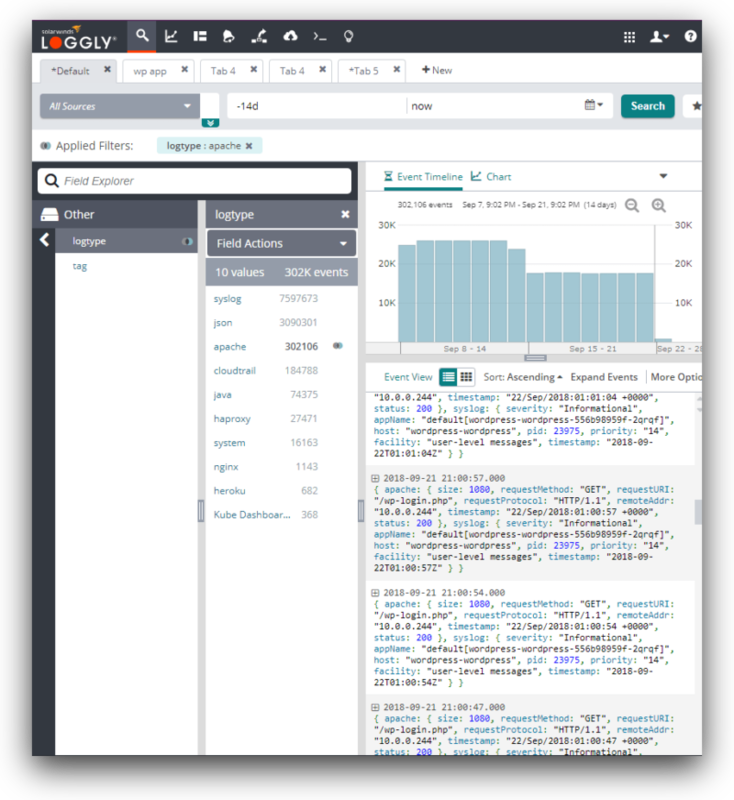 Loggly provides automated log parsing, allowing it to provide near-instant search results. It has a highly intuitive dynamic field viewer, which provides a structured summary of your parsed logs. This view is like a map of your data, and can help you instantly spot anomalies and hone in on trouble spots. To dig deeper, you can use the powerful search capabilities in Loggly, without having to learn a proprietary query languages. As an AWS monitoring solution, Loggly offers dashboards and alerts that track a wide range of metrics and performance indicators within your logs. It generates real-time, navigable log summaries and interactive charts for detailed view into your AWS environment. Click on any spike in the chart to find associated logs and drill down into the logs to pinpoint the root cause of issues within your infrastructure and applications. Unify AWS log data with performance data in the Loggly dashboards to get a holistic view of your environment, allowing you to identify trouble spots early and avoid any outage or service degradation.